Catemaco is a town famous for its witches – and for its legendary Virgin. Sound like an interesting place to visit? This small town in southern Veracruz is the destination of pilgrims seeking help from the Virgen de Carmen, symbolized by a very old and revered statue housed in the impressive Basilica. It is also the destination of people seeking a cure or spell from a witch or a cleansing or healing from a shaman. The strange thing is that the two streams converge at the Catholic church. Girls outside sell basil to the arriving worshippers. 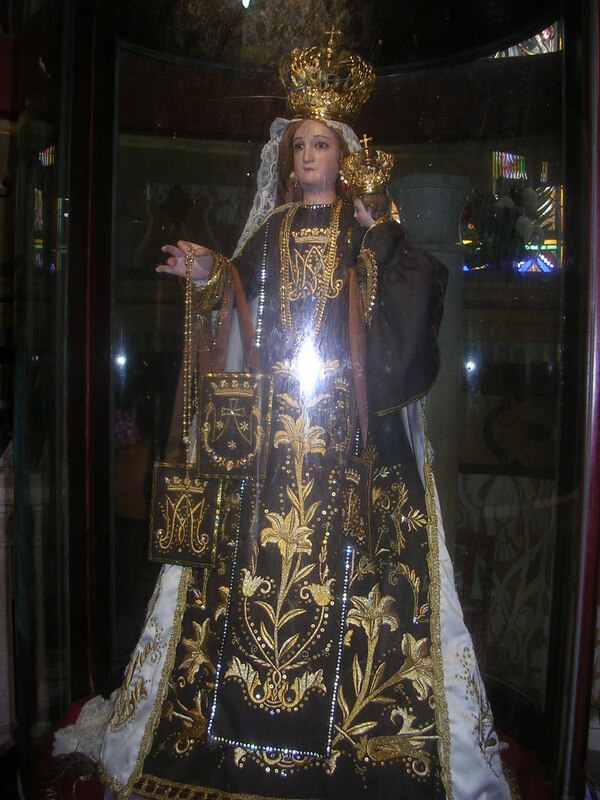 With these bouquets, the pilgrims enter the church and do a cleansing in front of the statue of the Virgin. 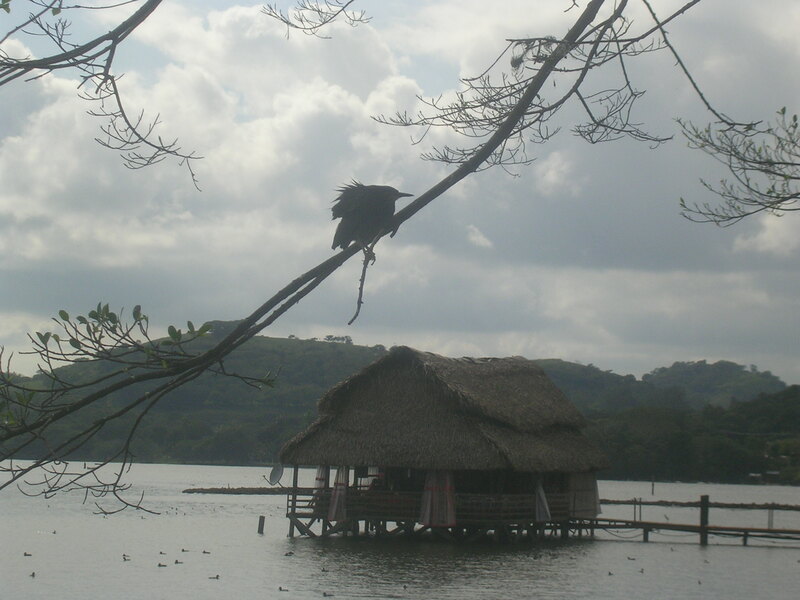 Situated on the shore of a lake with an island of monkeys, a nearby reserve with crocodiles roaming around, surrounded by lush jungle, Catemaco certainly is an alluring place to explore. 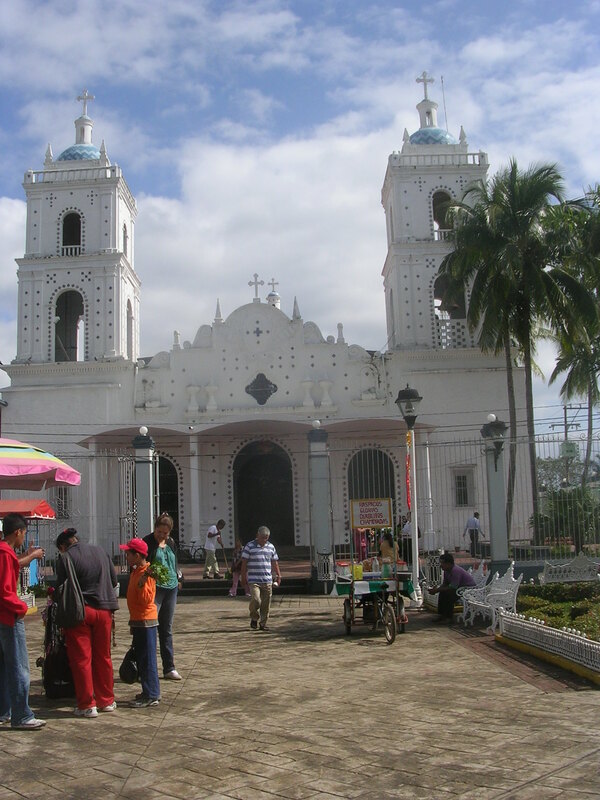 The sweet aroma of crushed rose petals as you enter the church, the fresh lake air on your face as you sit in the main square, the delicious homemade coconut ice cream, the vendors calling out trying to sell tegogolos (what the heck are tegogolos anyway?) fill your senses. strange place…but I loved it! I don’t think I’d want to settle there though…too weird for me!